You are here: Home » Sweeping forward with new innovation. Sweeping forward with new innovation. Brushtec’s latest product – the Sweepertec™ – now comes in a new compact 120cm (47”) size. 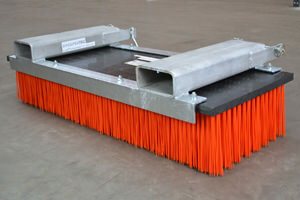 This offers the same durable sweeper attachment for forked vehicles, but for areas where a 200cm (79”) cannot operate. The 120cm was designed with narrow warehouse aisles, and pathways in mind – but of course will operate equally well in any situation where the 200cm will not fit. With the 120cm, customers can continue to sweep at industry level standards in situations where the 200cm isn’t viable. 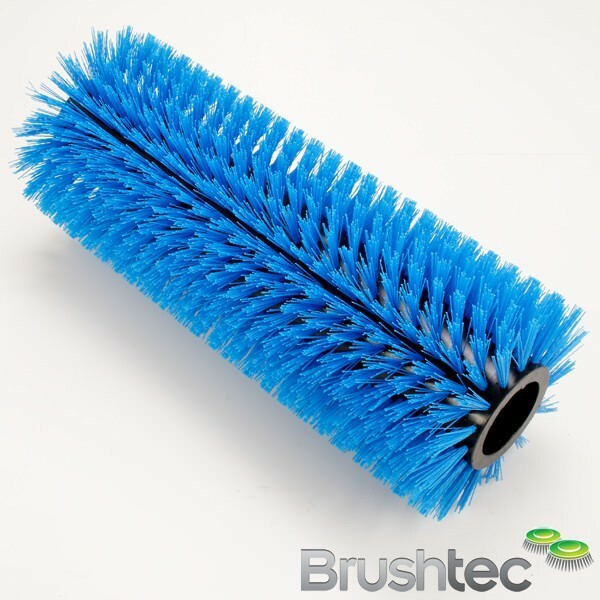 Brushtec has strived for durability through simplicity: making the Sweepertec™ ideal for both industrial and agricultural environments. The Sweepertec™ comes fully assembled, and attachment takes as little as 30 seconds, making the Sweepertec™ a hassle free product with industrial standard results. The Sweepertec™ allows for swift, efficient, indoor and outdoor cleaning; and due to the Sweepertec’s™ edges being non-marking HDPE, sweepers are able to brush debris close to walls without any fear of defacing them. 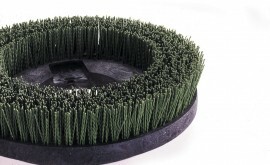 By using a hot dip galvanised steel frame the Sweepertec™ has the ability to be used in almost any environment, and won’t corrode in conditions even as tough as slurry. 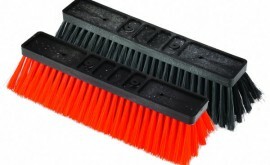 The option for heavy duty 2.2mm bristles gives the Sweepertec™ the ability to clear debris ranging from snow, and slurry – to grain, and bricks. This makes the Sweepertec™ the best performance, low cost, push/pull yard sweeper on the market. 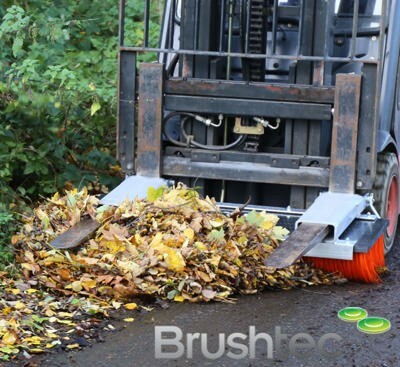 Brushtec is currently running an autumn promotion for the Sweepertec™ on the Sweepertec™ website – just in time for the snow, and leaf fall. With prices on our secure online shop starting from £508. Corrosion resistant due to its hot dip galvanised steel frame. 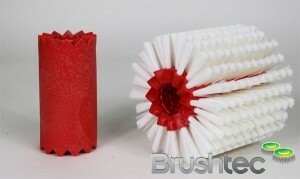 Product focus on municipal cylinder brush. Imperial sized ZigZag™ cylinder brush. To access client specific drawings, estimates and images please login below.